As the Government brings forward an end to new public subsidies for onshore wind farms, Banks Renewables has unveiled plans for its proposed 5MW solar photo voltaic (PV) scheme next its current wind farm at Ulley in Rotherham. The Durham-based developer secured planning permission for the six turbine wind farm at Ulley in 2010. Backed by £21m from the Co-operative Bank, turbines with a maximum height of 132m were built on green belt land to the west of the junction of the M1 and M18. With an installed capacity of 20.4MW, the Penny Hill wind farm began producing energy in 2013. It produces enough energy to meet the annual electricity consumption requirements of over 12,000 homes – or around ten per cent of all the homes in the Rotherham area. 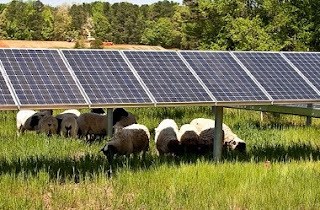 Now the developer has made its move into the solar energy market and hosted a public exhibition this week to show proposals to create a solar farm on the South East corner of its Penny Hill wind farm site. Environmental investigations have recently been carried out on site to finalise the design of the solar farm. Banks said that it is designing the project to allow for its existing grid connection on the Penny Hill site to be used for the new scheme, and is also looking at using the existing access tracks to further minimise any impact on the local community. It added that the part of the site was chosen as it is the furthest away from the village of Ulley, and its layout would mean that the scheme would not be visible from most of that village or from the nearby village of Brampton. 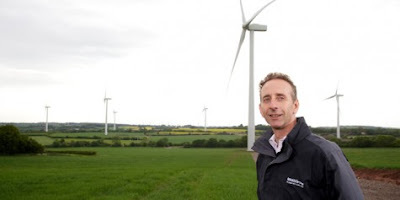 Phil Dyke, development director at Banks Renewables (pictured), said: "The Penny Hill wind farm has been running well for the last two years, and the positive impact that the community funds generated by it is already being felt right across the area. "The proposals we're now putting forward would enable us to substantially increase the annual amount available for local community improvement projects, and would enable us to make an even greater positive difference to the area by supporting projects that local people want to see actioned. "The part of the Penny Hill site that we've chosen for the solar PV scheme lends itself well to this sort of development, alongside having minimal visibility from surrounding communities, and we would implement a land management plan over the project's 25 year lifespan that would encourage greater biodiversity and support the creation of enhanced habitats for local flora and fauna. "We believe this is an excellent location for a scheme which would enable us to increase the amount of clean, green energy we produce at the Penny Hill site."